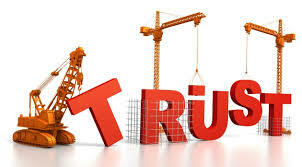 Trust is built over time. It is earned. It is not given automatically to most professionals by most prospective clients at the outset. That’s a reality. The very best we can hope for when someone doesn’t really know us yet is to be trusted enough to be given a chance to prove ourselves. Client Testimonials. Undisputed champion when it comes to giving prospects a sense of professional trust. Collect them, publish them, refer to them – they really do matter when people are trying to work out who to trust. Professional Endorsements. Different to client testimonials in that endorsements from other professionals and centres-of-influence provide a more objective assessment of you. This is one of the reasons why having a superb LinkedIn profile matters so much these days. It is usually one of the top 5 hits on search, and is a fabulous opportunity ton showcase your professional expertise and the regard in which you are held. Client Reviews. The feedback you receive on any number of social media sites or web pages is very easily found by potential clients today. Negative feedback is potentially deadly of course, but on the other side of the equation, any positive feedback that you can generate for awesome service or professional work is another form of testimonial. Press Releases & Reviews. What gets printed in main stream media or professional publications carries more weight than anything we publish ourselves. “Deemed authority” and expertise is far more powerful positioning than “claimed authority”. Social Media Footprint. The sheer presence and support you can generate publicly via social media networks does matter to many prospective customers. It matters because it taps into the concept of “social proof” – and most people are most likely to go with the safest option….what can be safer than using the professional that hundreds or thousands of others listen to? Professional Qualifications. REAL qualifications and professional designations matter. They provide reassurance as to technical expertise, professional competency and ethics. Mickey-mouse designations, implied “qualifications” that are actually little more than a license to use a particular set of products or work are increasingly meaningless. In fact, as consumers generally become more aware of the distinctions in qualifications and licenses there is a very real risk that anyone holding out a set of letters as a “qualification” when it isn’t will actually LOSE trust. Take a Stand. Providing opinion that is thoughtful and positive and being publicly visible support professional your expertise and positioning, and assist potential clients in deciding that you are trustworthy enough. Share. Provide useful information…and I mean stuff that people can and will actually use. Information and content that helps prospective clients improve their position and knowledge means giving away some IP perhaps, but it is a demonstration of value. Trust Badges or Ratings. While I am no particular fan of some of the “influencer” applications or adviser ratings services, we have to acknowledge that such things matter to prospective clients. When you have created some significant influence and authority online and have “trust” or “influence” scores or badges or positive reviews from such platforms they can be helpful. Awards. In a similar vein to Professional Qualifications, real awards that recognise service, expertise, your contribution to the community are all valuable additions to building trust. Awards which recognise how much money you made from selling, or how many things you sold, are excellent recognition within the industry and amongst your peers perhaps, but are they likely to build trust with potential clients? I think not. Building trust can be done by using tactics such as this to provide assurance to potential clients that you are a good choice. Isn’t that one of the primary objectives of marketing?